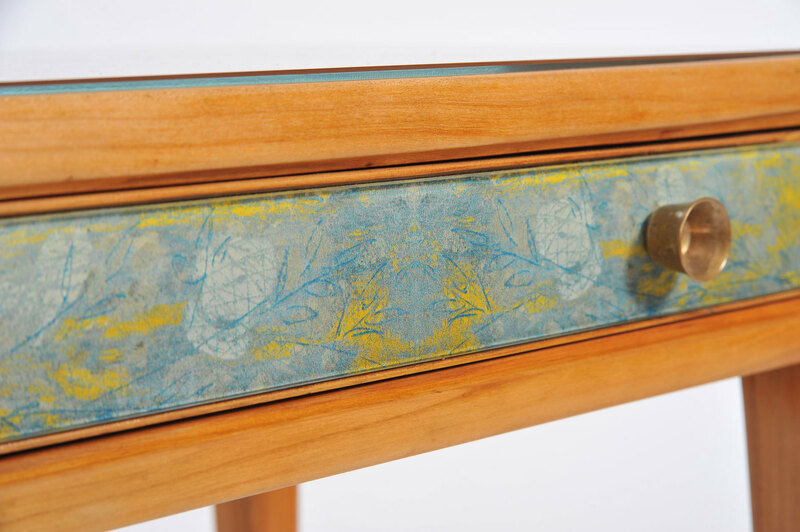 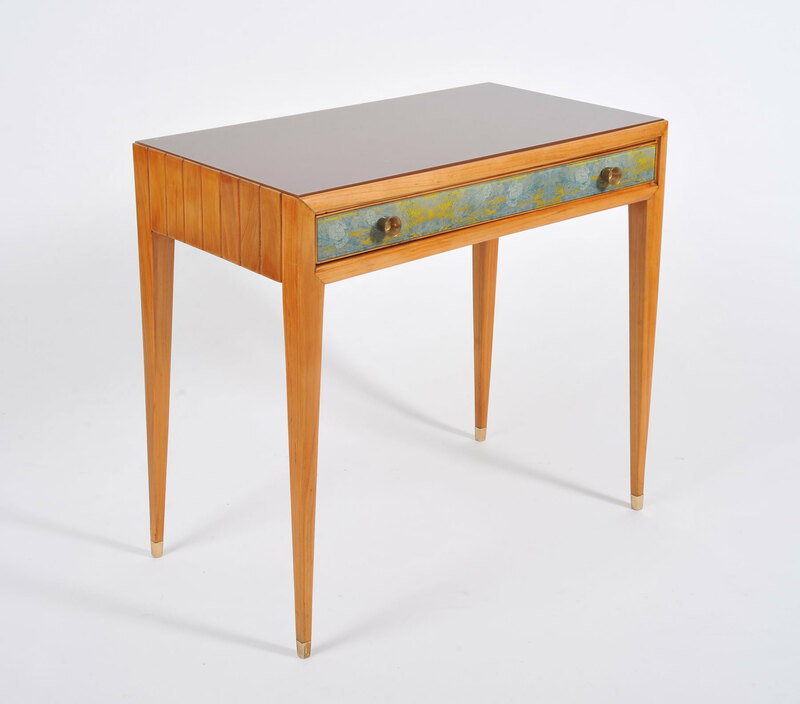 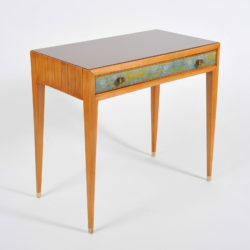 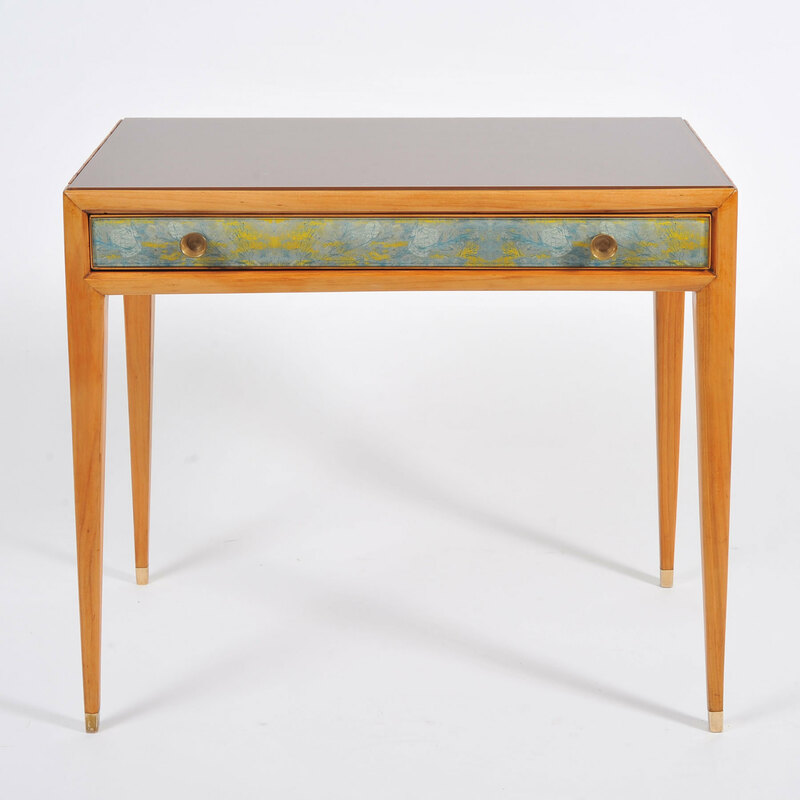 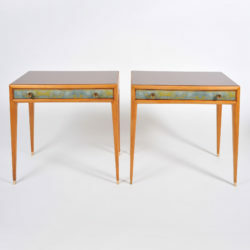 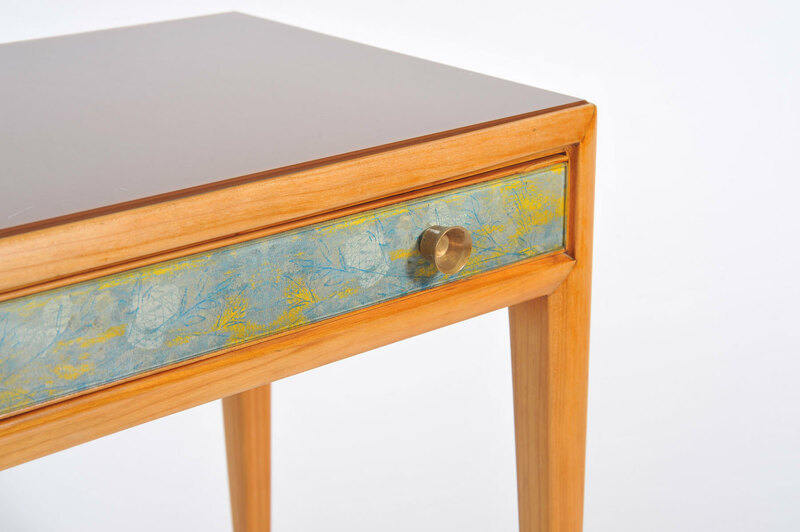 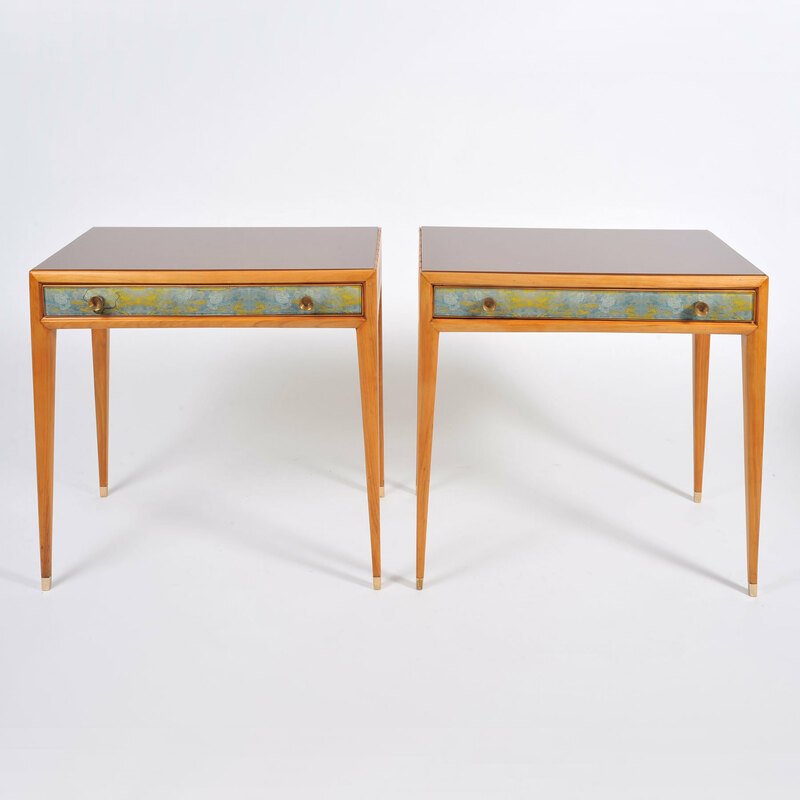 Elegant and rare side tables fronted with reverse-painted abstract designs in soft blues, greens and gold by Osvaldo Borsani and Adriano Spilimbergo. 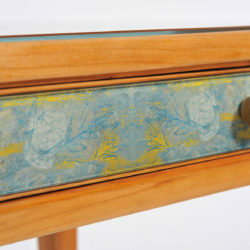 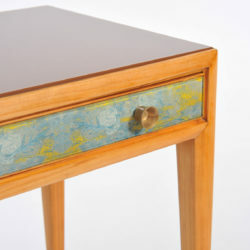 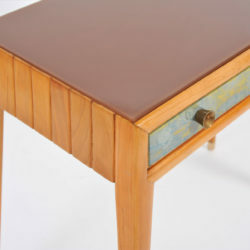 Each drawer has two original circular brass handles. Rich pear wood with warm amber-coloured glass tops. 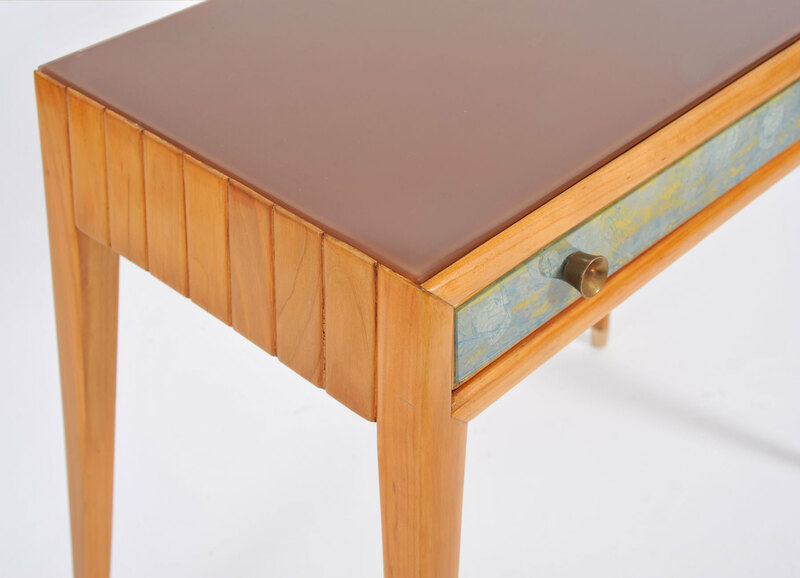 Tapered legs are finished with brass 'sabots'. 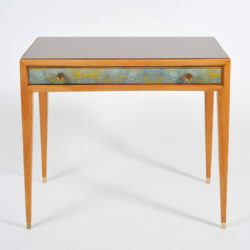 See also FC787 for matching credenza.